Arré was a Belgian import from the famous American Dickendall line. 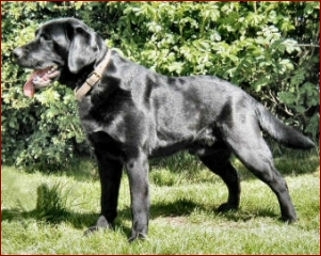 A magnificent black dog, carrying chocolate, he was a happy character and we were proud to own him. Arré enjoyed a wonderful retirement, where he had 6 acres in which to play 'lord of the manor'!